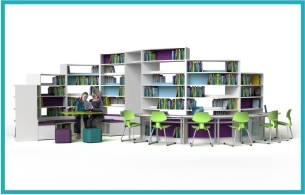 Furniture solution for refurbished Library. 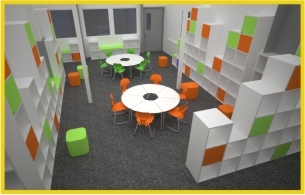 From the outset, the vision for the school was to create a bright and engaging learning environment which would become an important space for not only the pupils at the school, but also for the wider community. 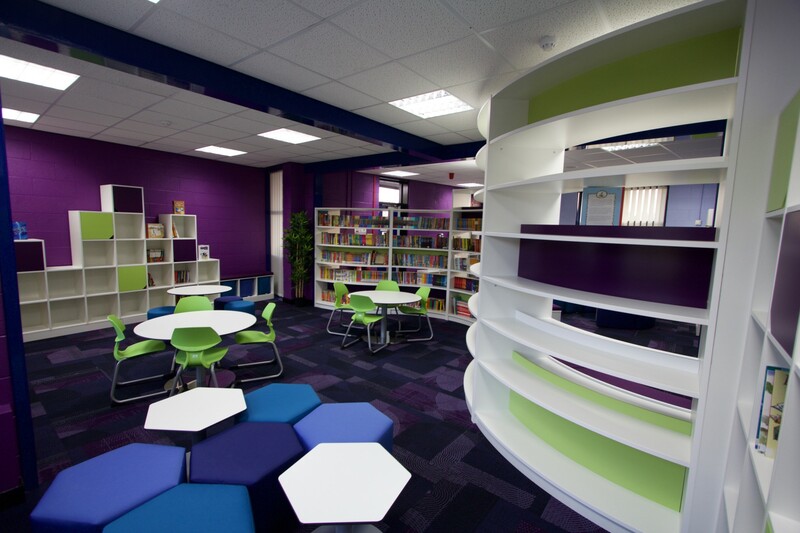 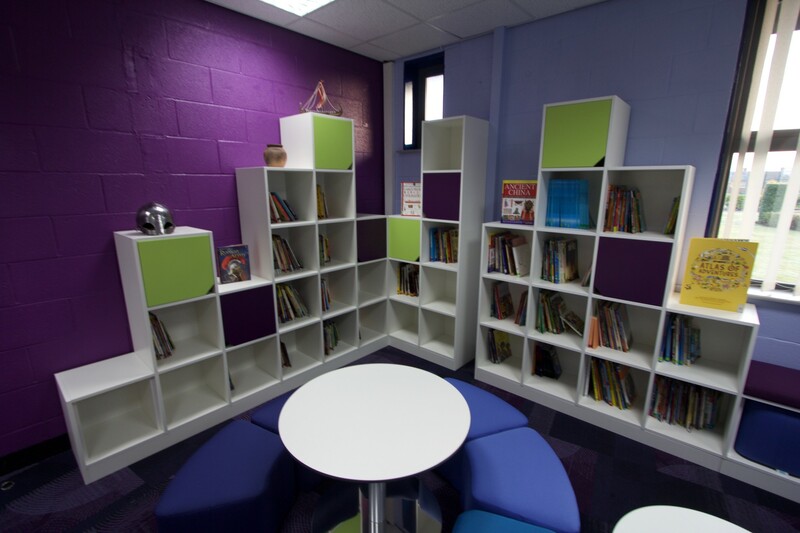 The new library design needed to maximise storage space so a bespoke CubeWall system was designed to provide a colourful landscape of storage cubes around the perimeter of the room. 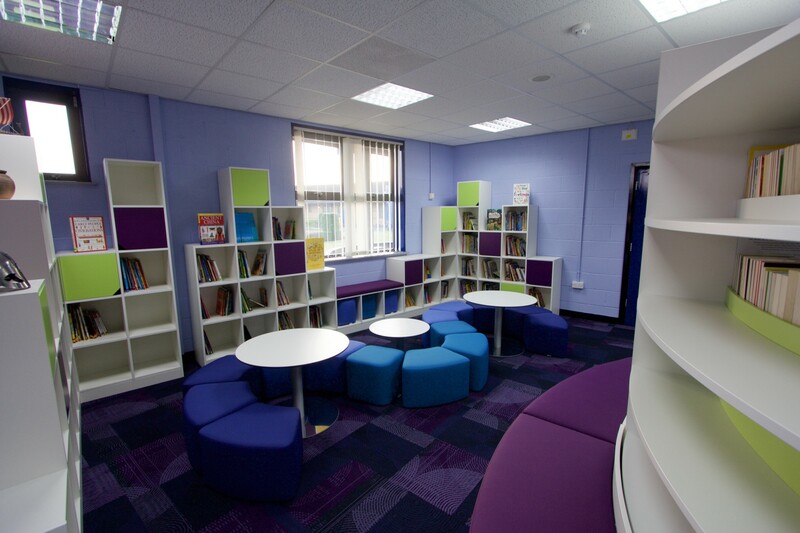 The CubeWall contained low level soft seating, with storage space below the upholstered seat pad for the mini Cube Stools. 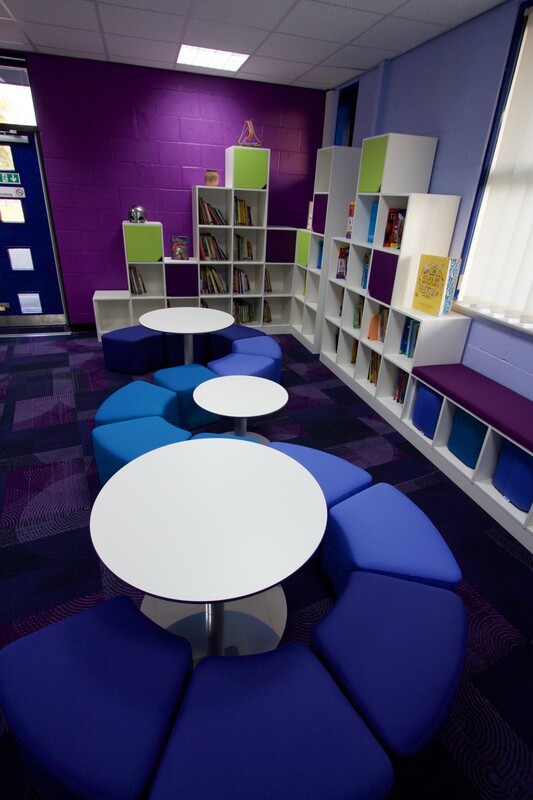 When needed the Cube Stools can be easily removed to quickly provide additional seating for larger group activities. 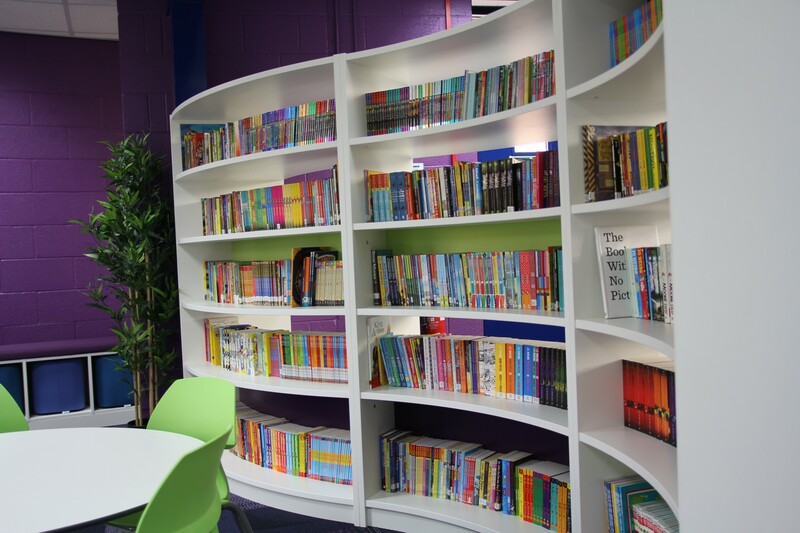 Storage space for books is provided by the large BookWorm shelving unit which divides the library space in half, stretching from one wall across to the other. 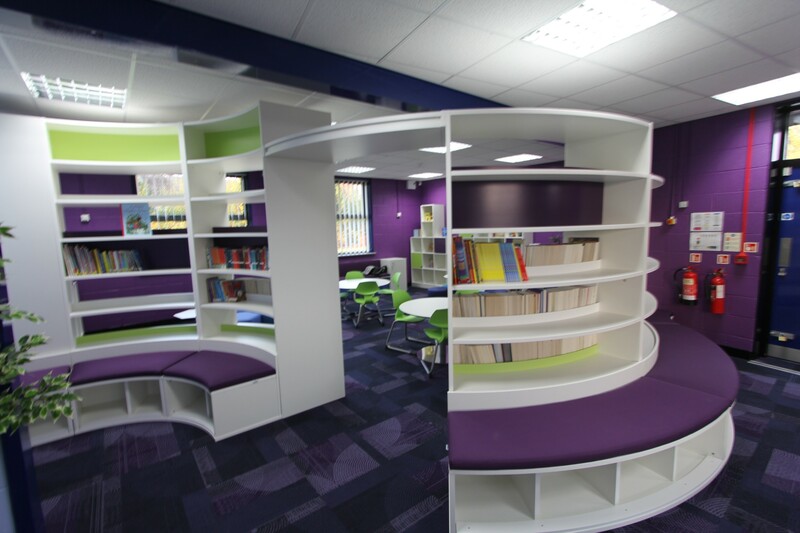 A bridge section allows visitors to the library, to walk right through the bookcase to access a quieter soft seating area on the other side. 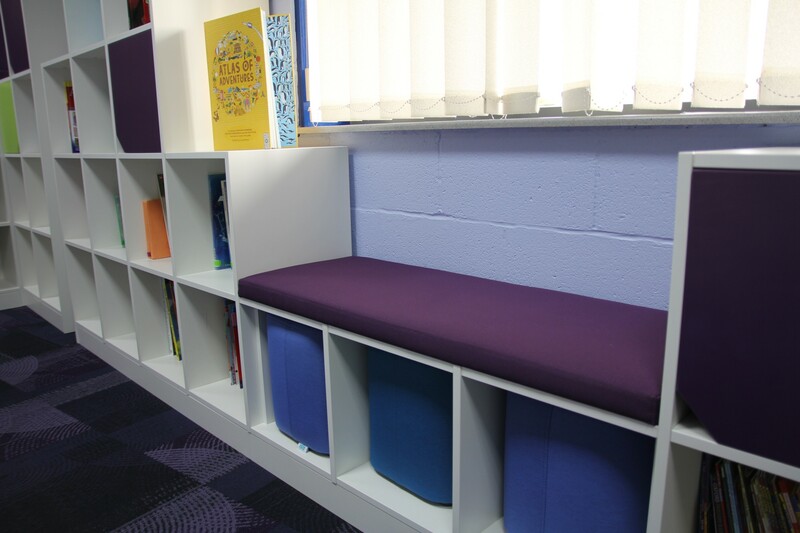 Throughout the space, zioxi created little ‘nook’ spaces, to encourage the children to find a quiet place to read a book. 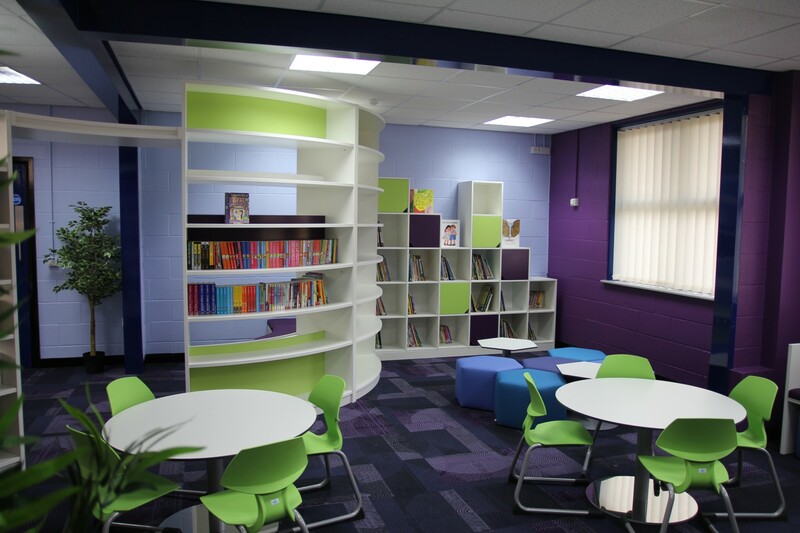 Soft seating which follows the curves of the Bookworm works perfectly to provide lots of seating areas when class teaching is taking place. 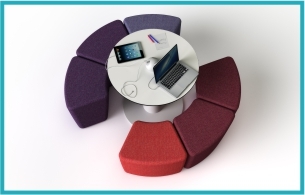 In the Breakout areas, the flexible furniture solution continued with s41 upholstered stools that could be arranged in circles and waves.